Commercial Laundry Equipment NC, SC & VA - Tri-State Laundry Equipment Co.
Tri-State Laundry Equipment is the exclusive regional distributor for Electrolux and Wascomat OPL equipment and also represents manufactures of top quality products from Whirlpool, B&C Technologies and ADC dryer. We believe with some of the world’s largest manufactures of laundry equipment and billions of dollars in sales, research and development not to mention industry leading technical support, Tri-State has an unmatched product line to benefit your operation. Tri-State provides Energy Star utility sipping equipment to 250lb soft mount Electrolux washers with a tilting dryer and flatwork iron with built in linen folder. Tri-State is a company that backs up its product sales with the best technical support, parts support, design and installation services in the business. Tri-State has the most important aspect of our industry well covered and that’s our people. With years of industry experience and knowledge our people are what set us apart and that experience comes with every part sale, service call or equipment installation project. 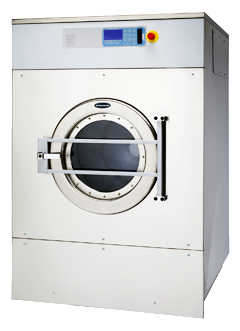 Look over our products and give Tri-State Laundry Equipment Co. a call.